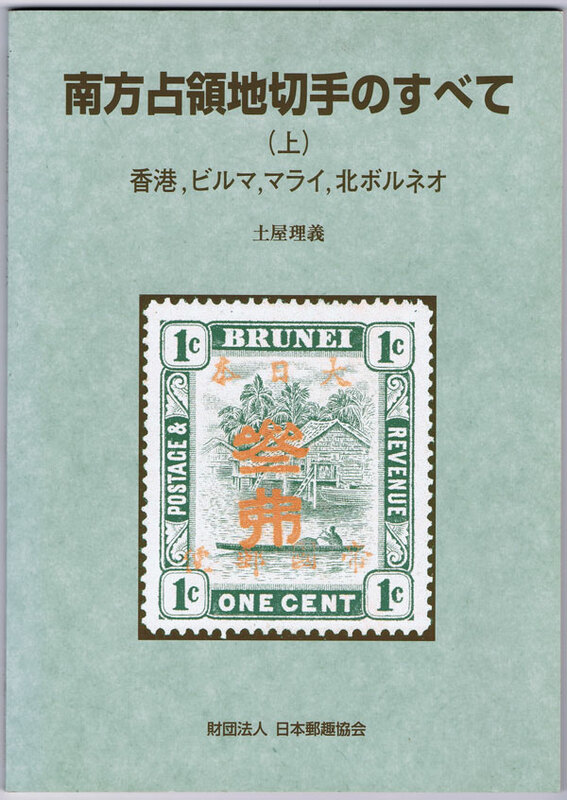 TSUCHIYA Masayoshi - A Complete Overview of Japanese Occupation Stamps in Southeast Asia Part I: Hong Kong, Burma, Malaya and North Borneo. 108pp + loose errata slip. 1st ed., clean in card covers. Also two extracts from this book translated into English.Well illustrated guide to stamps and postal markings. Text in Japanese.